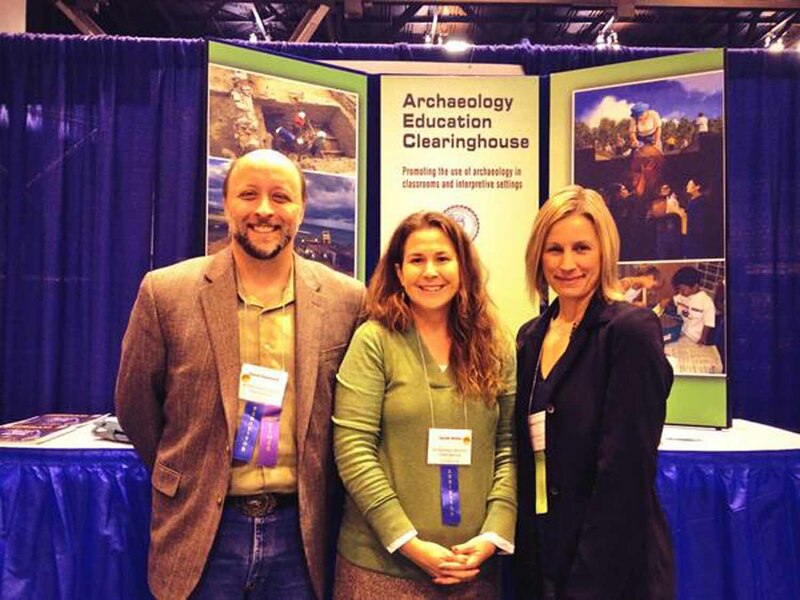 This past November, along with my colleagues Sarah Miller, Christy Pritchard, and Steve Dasovich, I attended the National Council of Social Studies conference in St. Louis to staff the Archaeology Education Clearinghouse exhibit. On the opening morning of the conference, Sarah began to send out tweets about the event (#NCSS2013). As a relative novice at Twitter, I raised with Sarah that I did not quite get the concept tweeting conferences. I understood using Twitter to share links, event notices, and other announcements but the conference tweeting did not make sense to me. Sarah immediately responded with a mini-tutorial on the multiple uses of the 140-character social media tool. I was impressed and asked if she could share her thoughts in a blog post. She graciously agreed. Social media is a hard sell for heritage professionals not already engaged in on-line activities for their personal life, especially so for Twitter. One reason to consider social media is its ability to reach new audiences and build a following to create buzz. For this, Twitter is ideal because of its instant access and user demographics. Research continues to show that Twitter appeals to underserved audiences in my field (public archaeology): adults 18-29, African Americans, and urban residents. 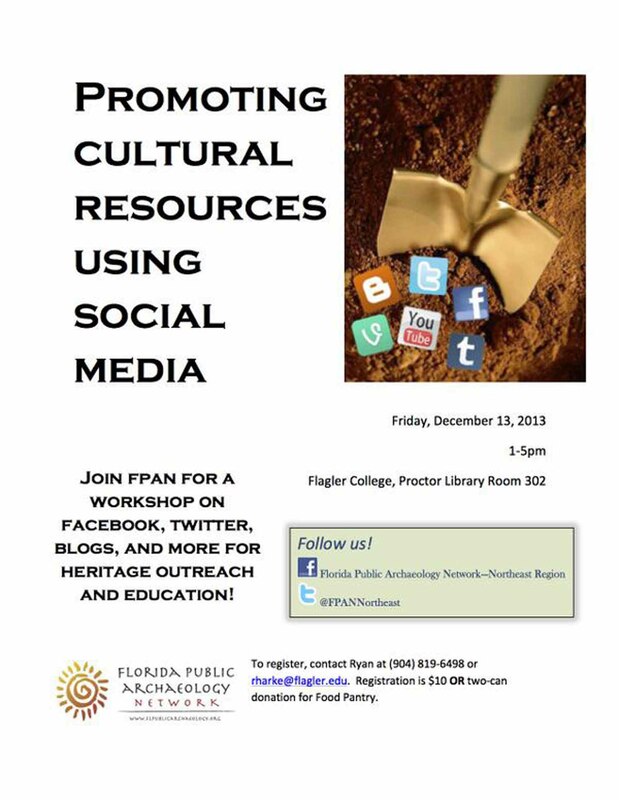 Here’s a few suggestions on how to use Twitter to promote historical resources in your area and encourage growth in your own professional development. De-mystify what you do. If you receive public funding, it is implied that there be public benefit to the work you perform. While most outreach takes the form of public events, that doesn’t mean time behind the scenes is off limits. Twitter allows you to update minute to minute your activities, from the glamorous to the mundane. Giving the public insight into your daily activities as a professional, in my case an archaeologist, is a service in and of itself to the discipline. Highlight current research and events. It’s easy to forward on information to the public by pasting in URLs to flier and event calendars, as well as reposting research. Consider recycling your own research products. For example, when we do a conference paper or poster, we post our findings to the blog and send out to our social media outlets. Tagging significant partners or themes, such as #slr for sea level rise or #ethics, encourages conversation across disciplines. On the flip side, social media numbers (including Twitter followers) demonstrate potential audience numbers for promotion of events for grant applications and funding. Open up communication. Having a Twitter account lets your followers know they can easily get your attention by tagging your handle or sending you a direct message. Taken further, you can also live tweet events or chats many of your followers may not be able to attend. We regularly live tweet lectures on a designated account (@FPANlive). The feed is then archived on our Storify account, making it easier to share with on-line audiences, or even forwarding on via email to public not engaged in social media. 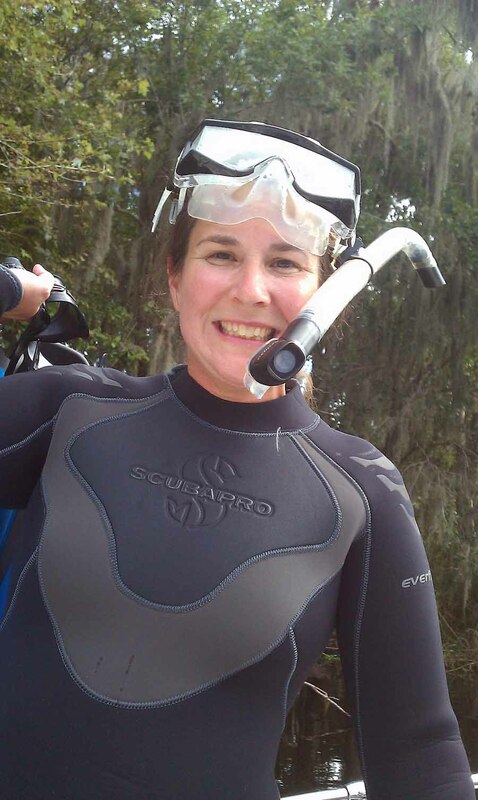 One area we hope to expand is in offering live chats with other professional archaeologists working or visiting Florida. Engage with other professionals. The conferences I most look forward to attending are those with a strong social media component. Take for example the recent Society for Historical Archaeology conference held in Quebec, Canada. Months before the conference conversations began on Twitter using the #SHA2014 hashtag. During the conference I used Twitter to find those who share a common interest. Archaeology in the Community (@AITC_DC) tweeted “Come talk public archaeology with us!” So I did (also known as a tweet-up). Unfortunately, due to the Arctic Blast, many attendees were stranded at airports or had to turn back. For many, social media was the only lifeline into the conference. The Society has a social media plan in place and does a great job providing guidance as to how to use social media for its maximum benefit (2013 conference link and 2014 conference link). Sarah Miller (center) with Steve Dasovich and Christy Pritchard tweeted the proceedings from the National Council of Social Studies conference for the Archaeology Education Clearinghouse. Build Community. Social media is only fun when others play. By nature it is collaborative and encourages partnership between individuals and organizations. If you’re finding it hard to get followers and want more comments, be sure you are following others and also commenting. Some of our go to public archaeology partners are results of threads that began on Twitter and are marked using the #PubArch hashtag. I immediately know that they are engaged with the same audience I’m seeking, what kind of communication they produce and promote, and have a way to network information when truly necessary to an exponentially larger audience. Another tip: on Fridays people use #ff (follow Fridays) to recommend likeminded peeps to follow. If someone you follow sends out a #ff, check out who they recommend. Find someone you like? Give them and others you chat with the courtesy of a #ff post. If you need help getting started, sign up for a Twitter account and start a conversation with me @semiller88. I recommend you first search topics you’re personally interested in to get an idea for how people share information, and importantly the tone they use to express themselves. Then look up your professional interests, such as #archaeology or #pubarch (public archaeology) hashtags to see what others are posting to these subjects. Make note of local museums, newspapers, organizations that also have accounts and be sure to share their posts or tag when you mention them. Start slow with a goal of 4 tweets a day, add pictures, and after a month challenge yourself to live tweet an event you already planned on attending. Remember, social media is only fun when others play!